Up to 20" 21" - 36"
Volume Discount: 8+ chainsaw chains (of any size) get FREE return shipping. Select the length of chainsaw chain you plan on having sharpened. Add the chainsaw chain(s) to your cart and place your order. Ship us the chainsaw chain(s) you ordered service for. Choose a shipping carrier and send us your chainsaw chains! We use state of the art chainsaw chain sharpening equipment that gets your chain(s) as sharp as possible. We pack them up and ship them out using an express service to get you your chainsaw chains returned to you ASAP. Our chainsaw chain sharpening technique uses computerized, electronic chain sharpeners. This ensures that every chainsaw chain is sharpened with precision, leaving behind no burning or extended wear. Having a precision sharpened chainsaw chain ensures an even cut when using your chainsaw. With over 10,000 chainsaw chains sharpened since 2009, we've mastered the art of getting your chainsaw chain "samurai sword" sharp. You'll get the highest quality chainsaw chain sharpening with the quickest turn around online. From the moment we get your chainsaw chains to the knock on your door, we promise to be the fastest in the industry. Industry's fastest mail-order chainsaw chain sharpening. With first-in-class service coupled with lightning speed delivery, you'll never have to compromise to get your chainsaw chain(s) back in shape. Worried your chainsaw chain might be too worn? With years of experience our technicians can tell right away if a chainsaw chain is too worn to be sharpened and safely used. If your chainsaw chain can't be sharpened and safely used, you'll be issued a refund for the service that can't be performed. We'll even recycle the old chainsaw chain for you. 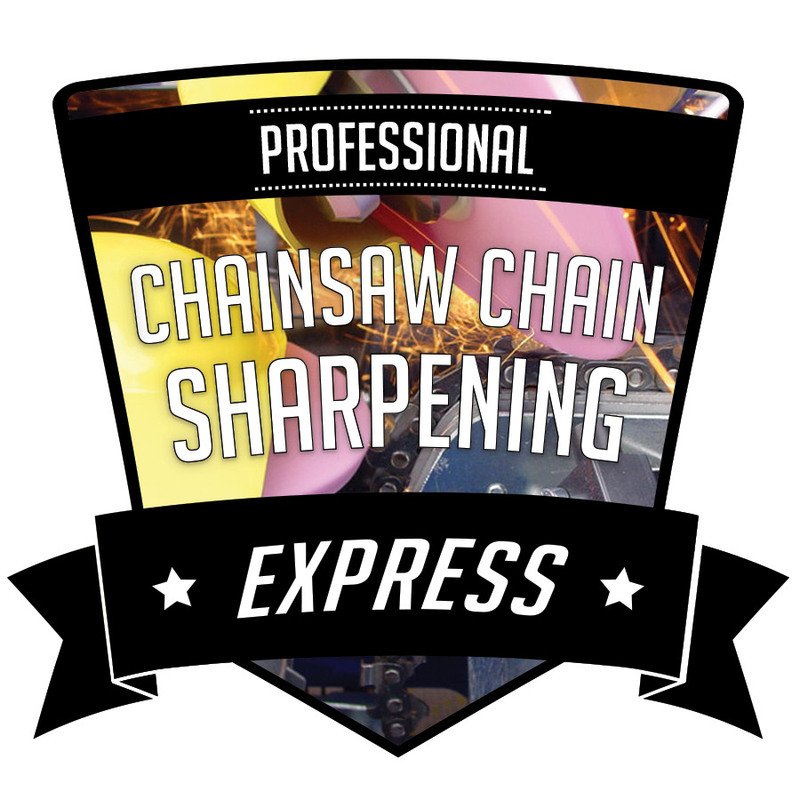 Our expresschainsaw chain sharpening service is possibly the easiest way to get your chainsaw chain sharpened without ever having to leave the house! 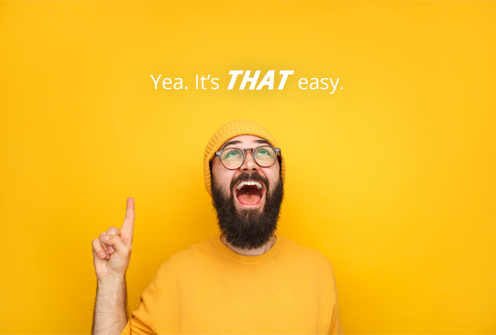 We make it easy for you, just follow the instructions below and you’ll have your chains back in-hand before you know it. The whole process starts when you place your order. Select the length of chainsaw chain you want sharpened, enter the number of chains that match the length selected and click add to cart. After placing your order, you’ll receive an email with an instructions sheet. Please cut along the line as instructed and attach the return address to the outside of your shipping container. Please follow the instructions sheet to properly package your chainsaw chain. You will be responsible for finding a shipping service to use to send us your chains. 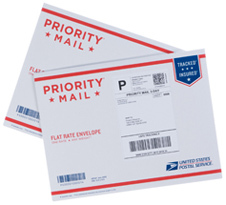 USPS flat rate mailers tend to be the most economical way to ship us your chains. To use this service, please make sure your chains are well padded. 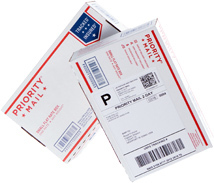 They will have packing materials and containers for you to use at your local post office, where you can also pay for the shipping to send us your chains. How Many Chains Can I Send? There's no real limit to the number of chainsaw chains you can send us. The only limit will be based on the method you choose to ship your chainsaw chains to us. 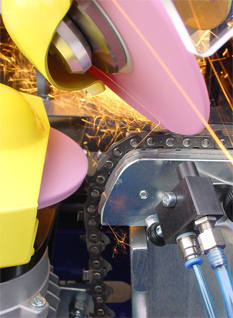 We use state of the art computerized chain sharpening technology to perfectly sharpen your chain. Our trained, experienced technicians will assess each chain before sharpening to help you get the best sharpening possible, fast! After sharpening, our chains will provide you with a straight, even cut. 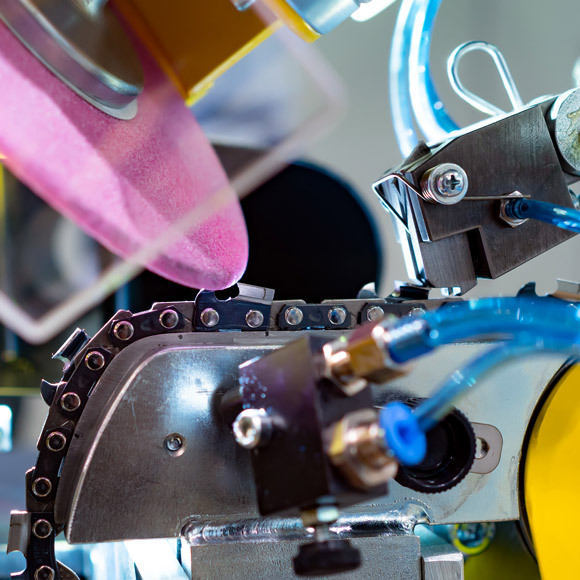 Our machine uses a sensor head that is made up of three hardened steel pieces to detect whether the tooth is a left or right angle by a difference of pressure on the sensor. It also detects missing or damaged teeth and/or rakers and adjusts the sharpening cycle accordingly. This helps guarantee that your chain gets the most precise sharpening possible. Because your chains are not sharpened by hand, you will get more life out of your chain due to the reduced heat being applied to the chain. We are capable of sharpening up to a 36" bar/chain (approximately 116 drive links). We can handle any pitch chain including ¼", .325" 3/8", ¾" (with attachment) and .404." It can also sharpen skip link chain. Our sharpening machine has your chain covered with angles ranging from 10° to 50°. After we finish sharpening your chain, We use an express shipping service to get your chains back to you as quickly as possible. From the time we receive your chains to the knock on your door, our service is the fastest in the industry.